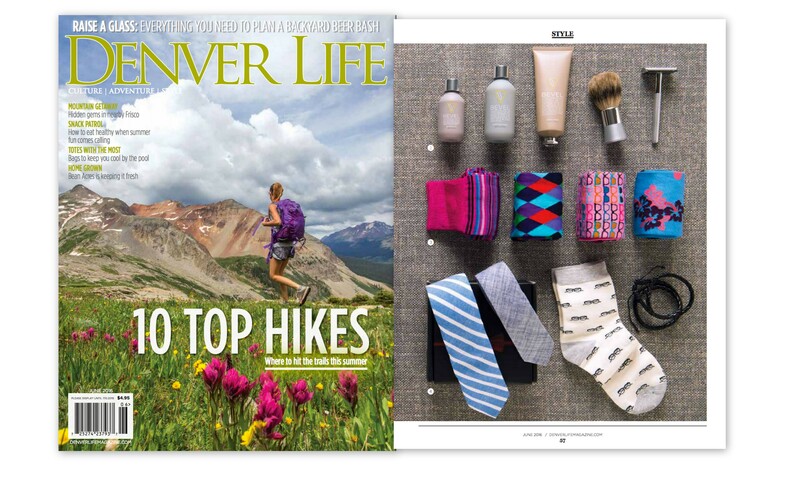 Congratulations to our Client The Tie Fix for their feature in Denver Life Magazine! Give the gift that completes his look month after month! The Tie Fix is a subscription tie and accessories box service that, for a monthly fee of $14.99 that will have your guy looking sharp and stylish all year long! Each month, your lucky guy will receive a box containing two ties and two accessories (socks, bracelets, or cuff links) that are hip, fashionable and professional. He’ll look like a million bucks and you’ll feel great about a gift that keeps giving! Check them out at thetiefix.com!